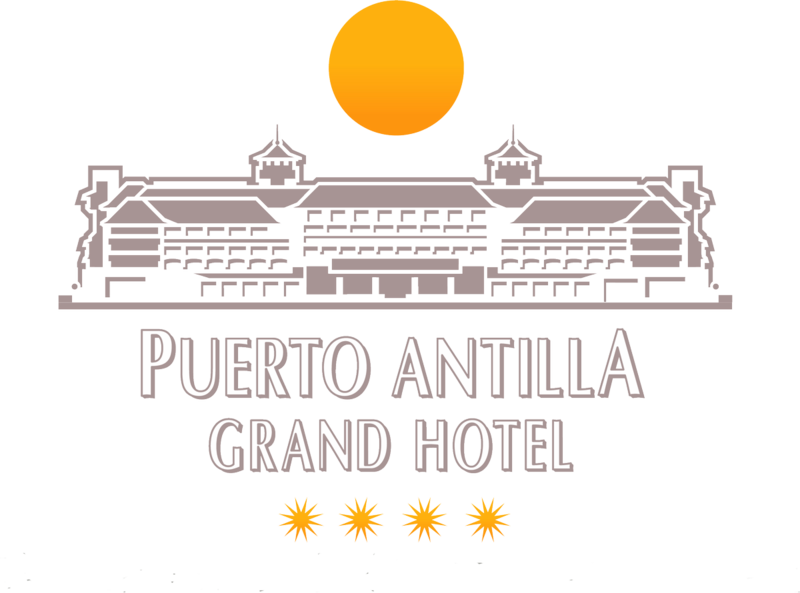 Puerto Antilla Grand Hotel the ideal hotel for a family holidays. Puerto Antilla Grand Hotel, is located in front of the beach of Islantilla, in a privileged place of the coast of the Light. 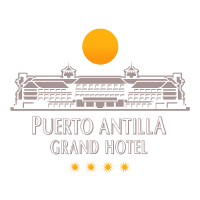 Come and feel the sun, the breeze of the Atlantic Ocean, and enjoy the pleasure of your senses..
All rooms at Puerto Antilla Grand Hotel have been designed to enjoy a pleasant rest and great comfort, offering excellent facilities to all its customers. 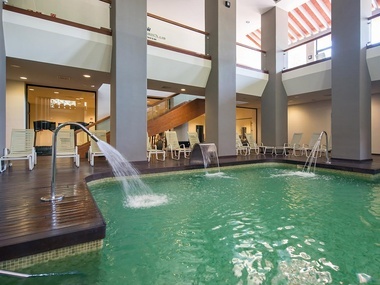 It has 5 swimming pools, 1000 m2 of spa & wellness area and children's mini club. Waking up to a beautiful sunrise in one of our 400 rooms, will give your stay in Puerto Antilla Grand Hotel Beach-Golf & Congress Center an unprecedented feeling. 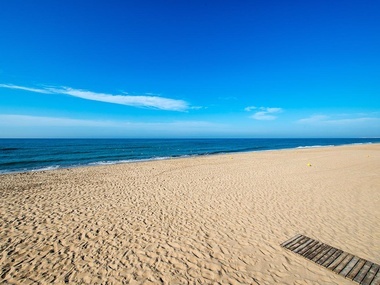 The best beaches, over 3,000 hours of annual sunshine, 300 clear days with pleasant temperatures all year round, 120 km of beaches of fine golden sand. 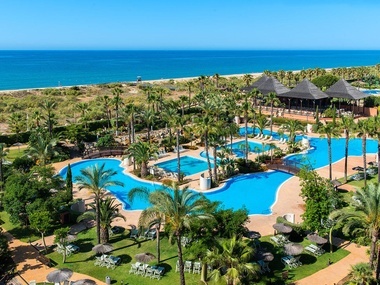 Puerto Antilla Grand Hotel on the beach front is the ideal hotel for families, couples, golf lovers and business clients, where you can discover the history, gastronomy and nature of the province of Huelva. Feel the sea, Feel the south, Feel Huelva.